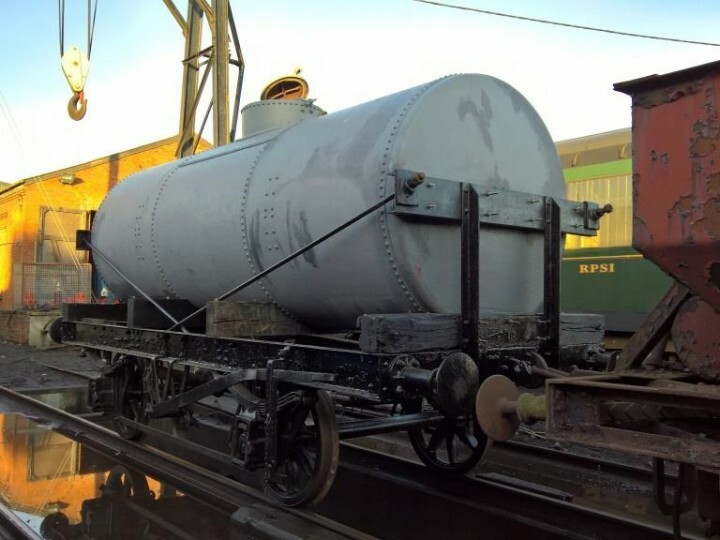 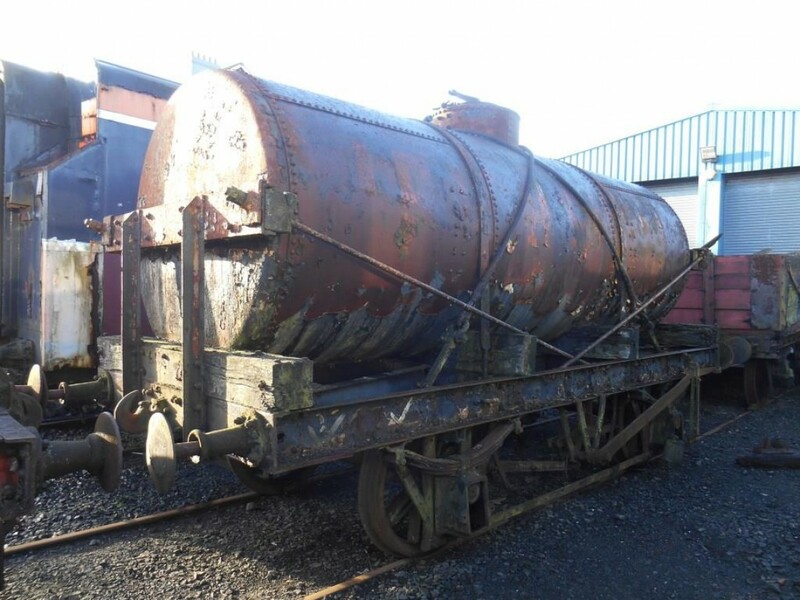 It is probable that 602 was built by a company who built tank wagons for many railway companies, British, Irish and further afield - Charles Roberts & Co. of Wakefield, England. 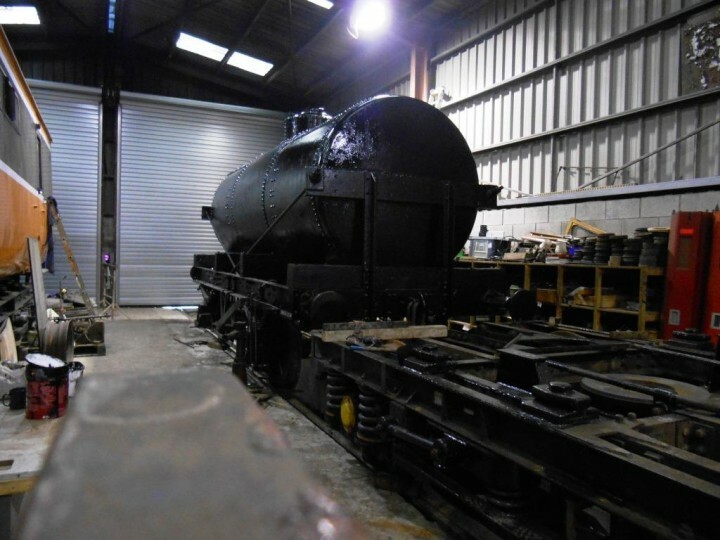 By the design of it, the build date would be some time in the 1910s. 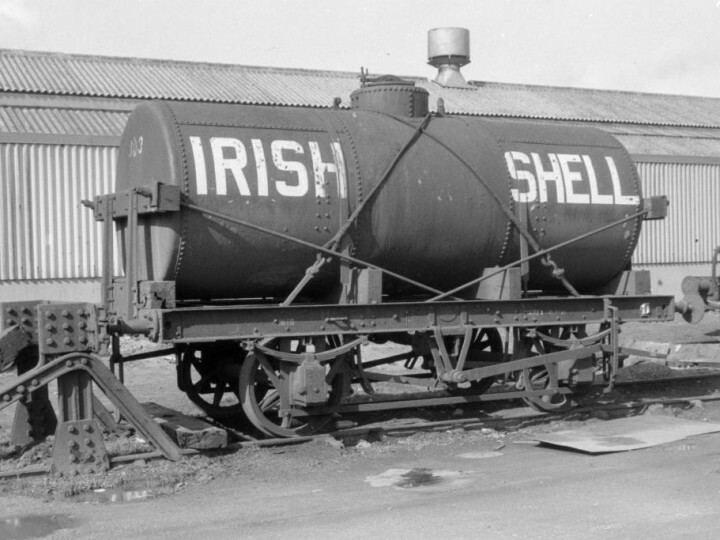 CIÉ did have wagons of this type, but of a later design, and which were built at Inchicore, but this isn't one of them. 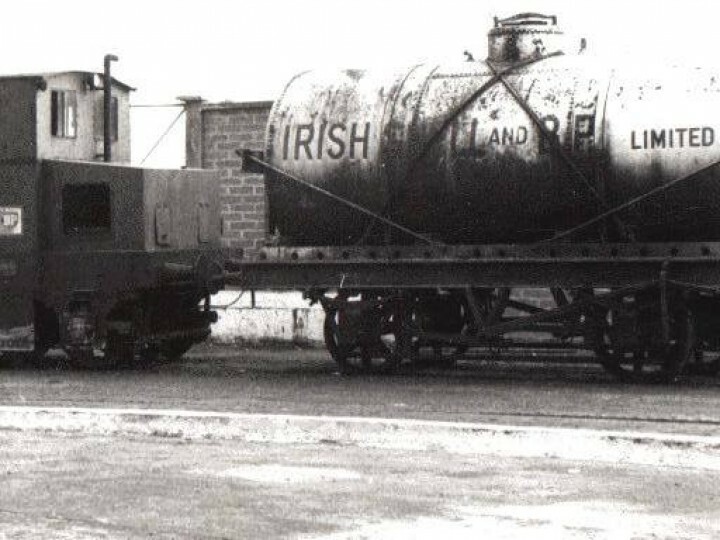 In fact, the Inchicore builds largely replaced wagons like 602. 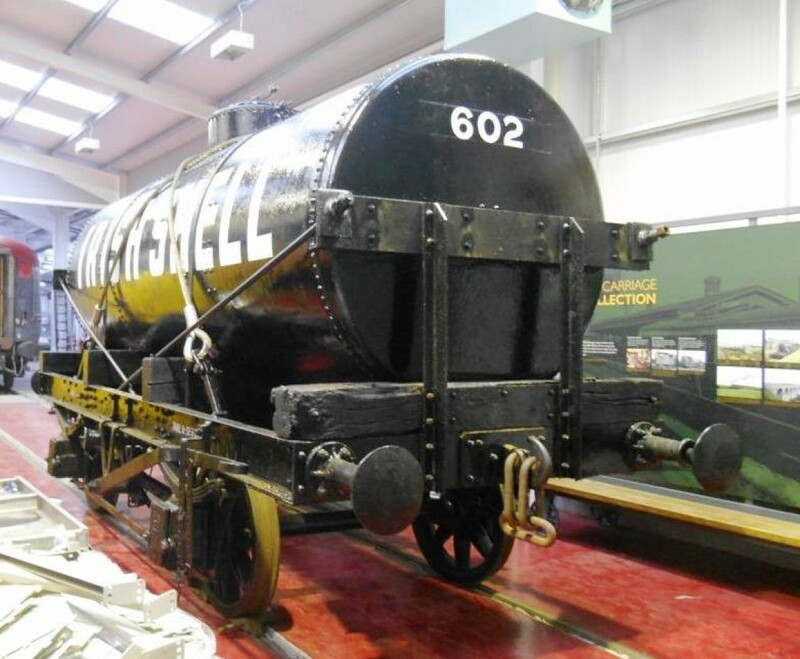 The livery was very simple - just plain black all over, with white lettering. 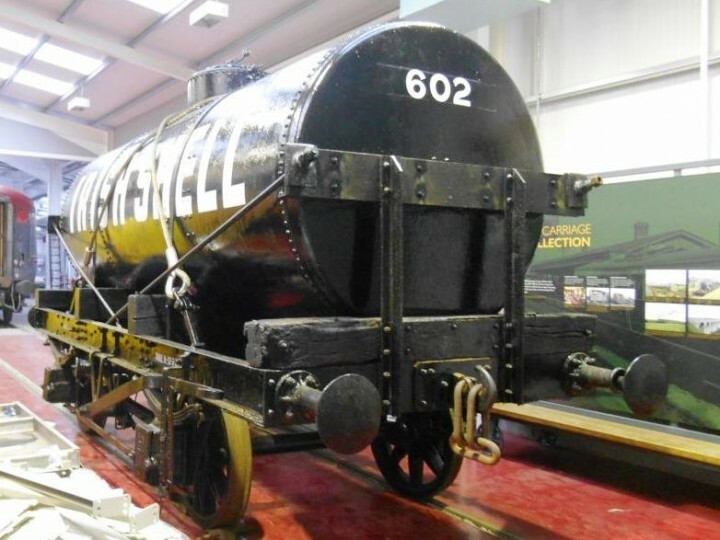 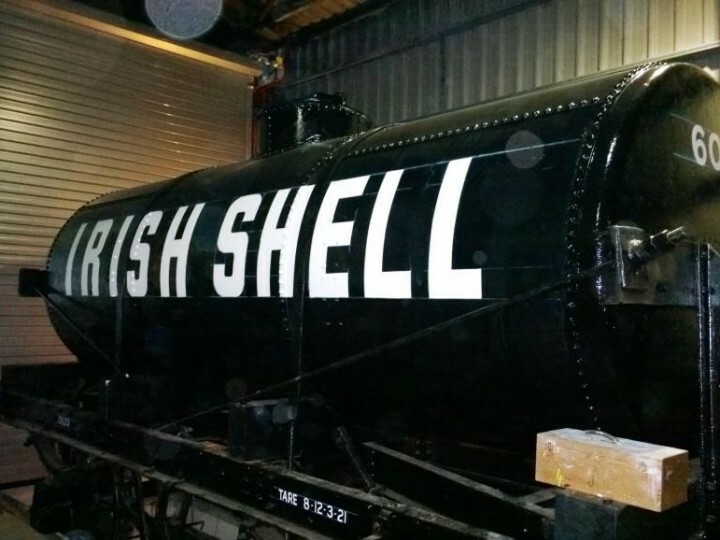 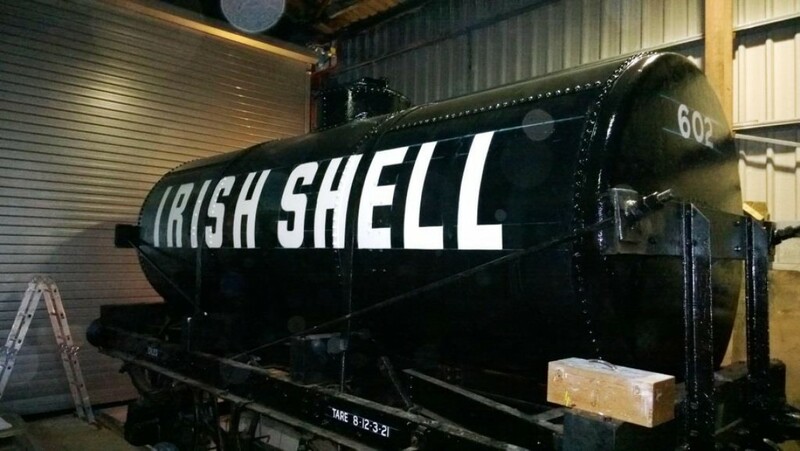 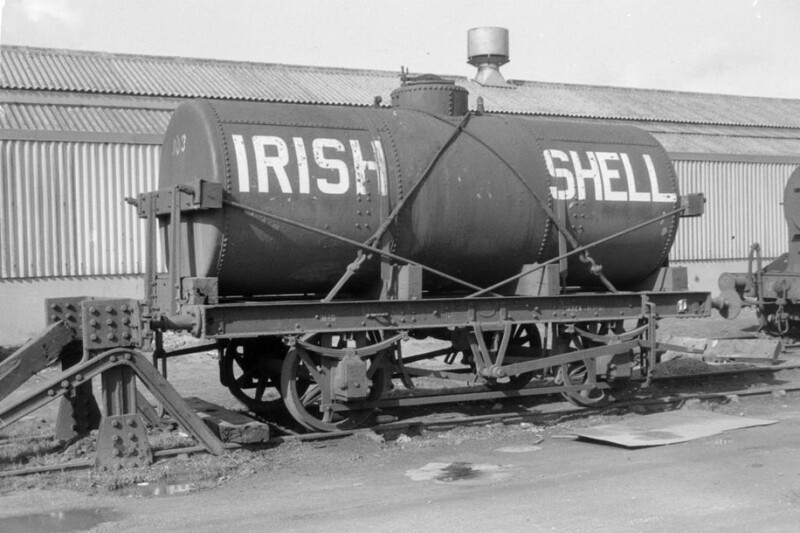 Thanks to a grant from the Northern Ireland Museum Council, the former Irish Shell tank wagon has been restored for display in the new Whitehead Railway Museum. 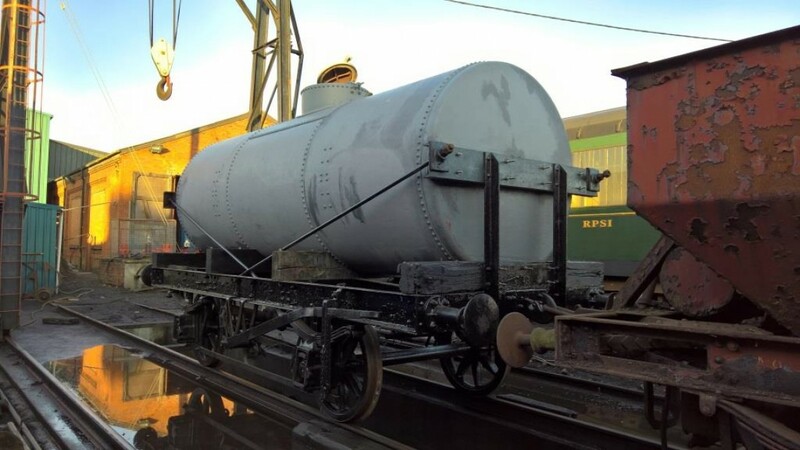 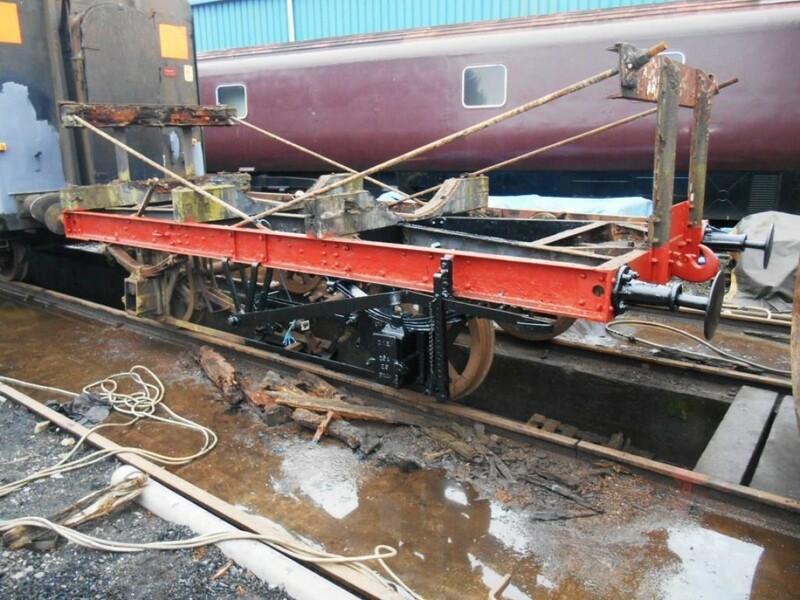 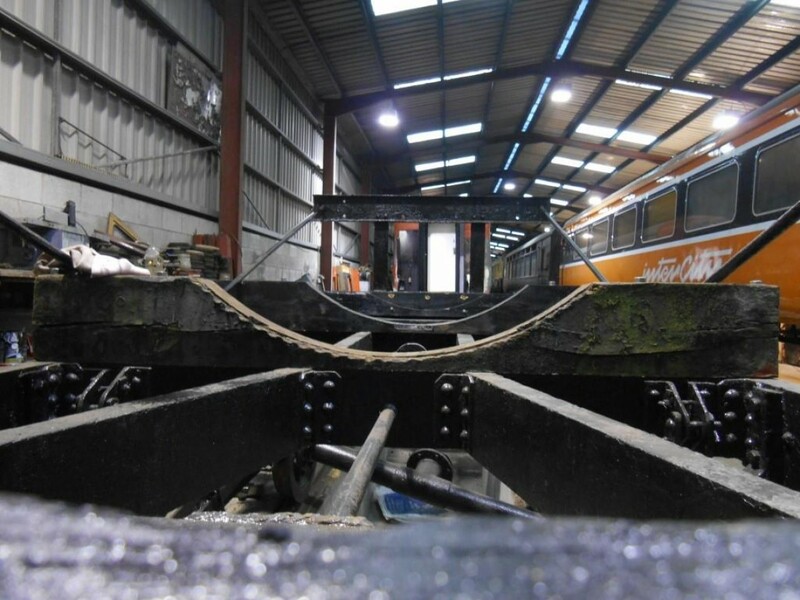 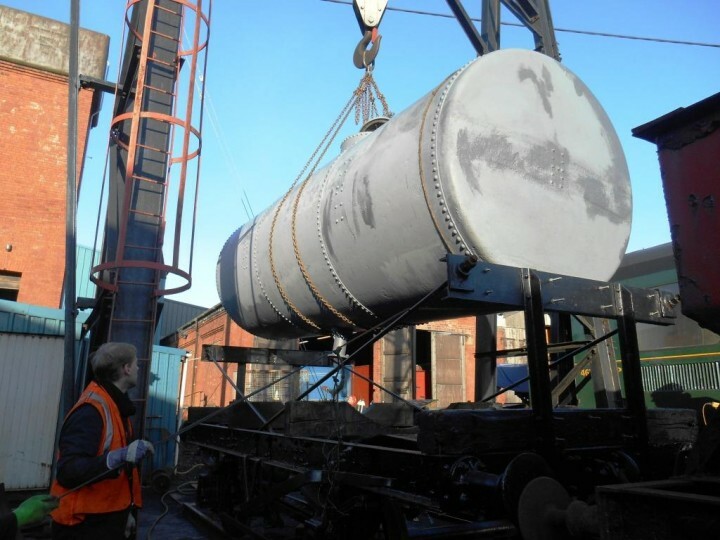 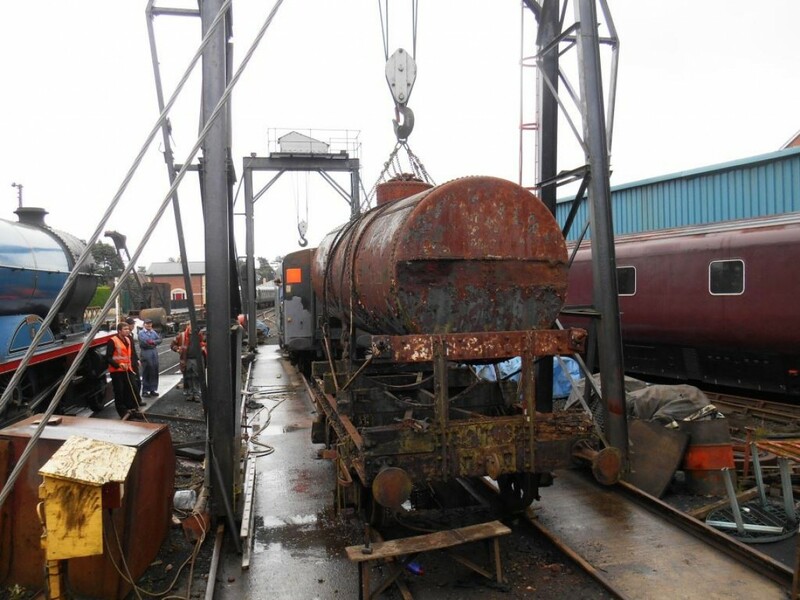 Overhaul entailed removal of the tank from the underframe, the shot-blasting of both to remove years of accumulated rust, replacement of rotten timers and similarly rusted metal components, and re-painting into original livery for display. 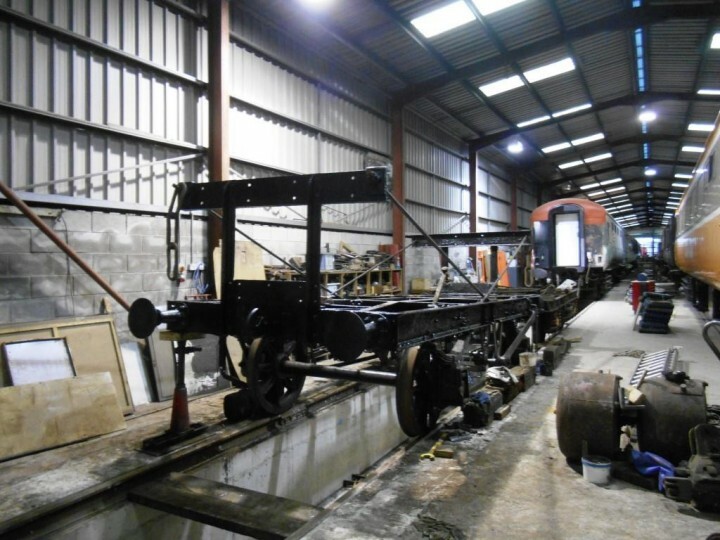 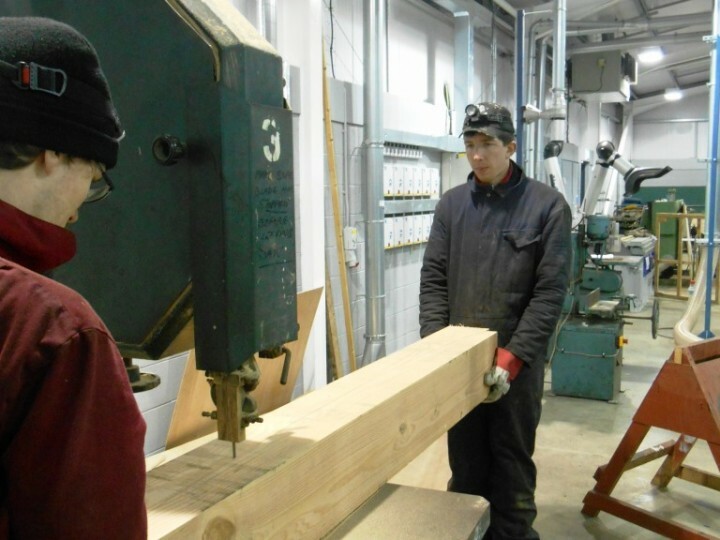 Over the Christmas 2016 period, things started coming together for 602 in a bid to have it ready for the Museum opening in the spring of 2017. 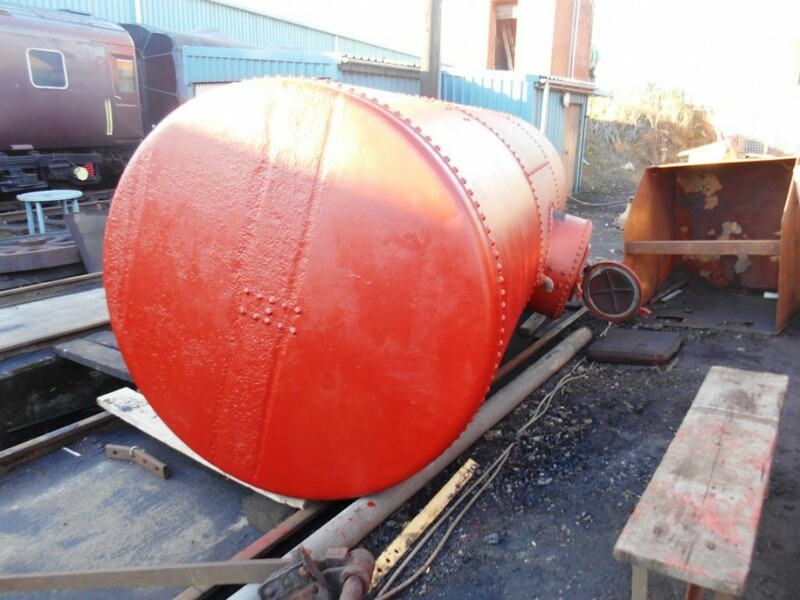 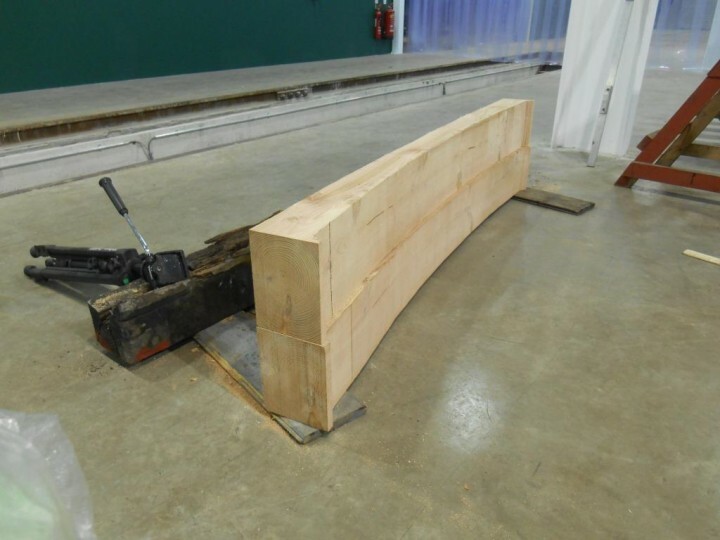 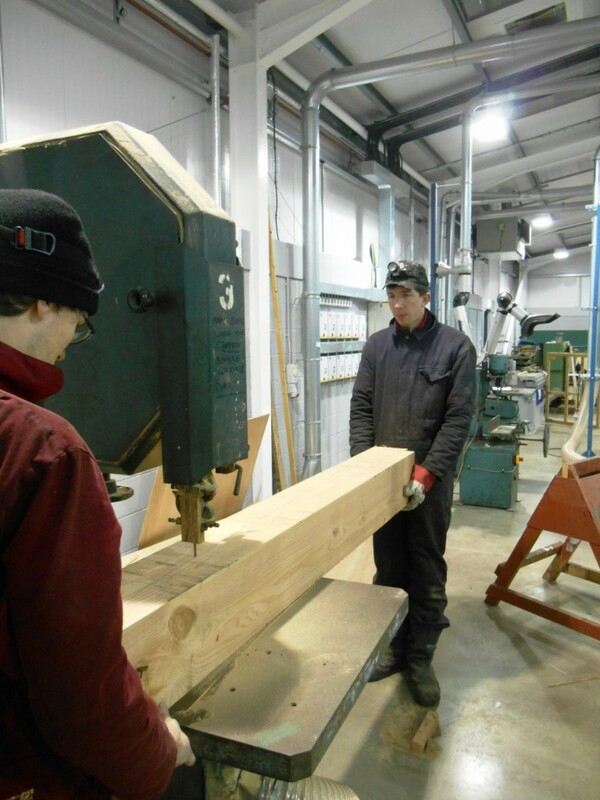 Following successful cutting and fitting of the wooden cradle, the oil tank went into the underframes on 29th December 2016. 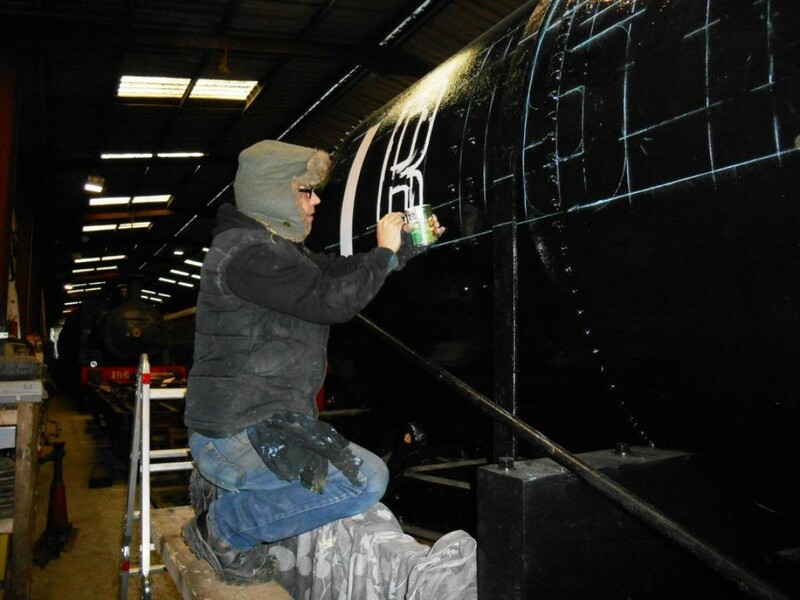 In mid-January 2017, professional signwriters from AirForceOne Artwork were engaged to finish the lettering on the wagon.